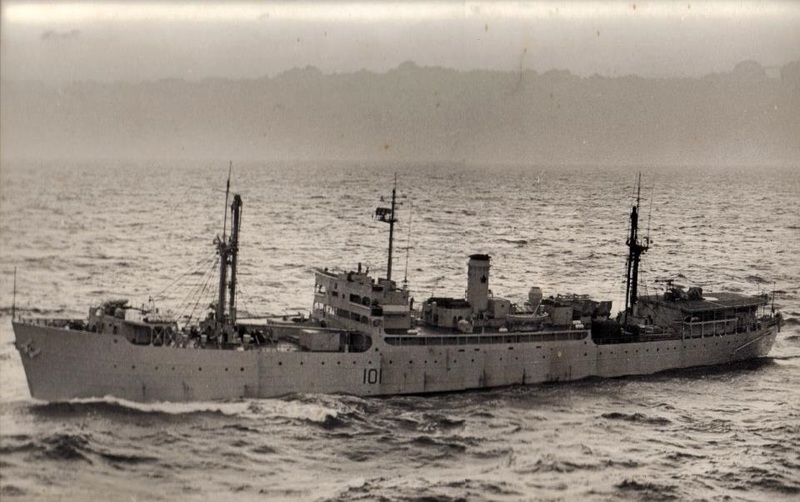 Built by Burrard Dry Dock Co. Ltd., Vancouver, a modified Fort type cargo ship, HMS Beachy Head was launched at Vancouver in 1944. 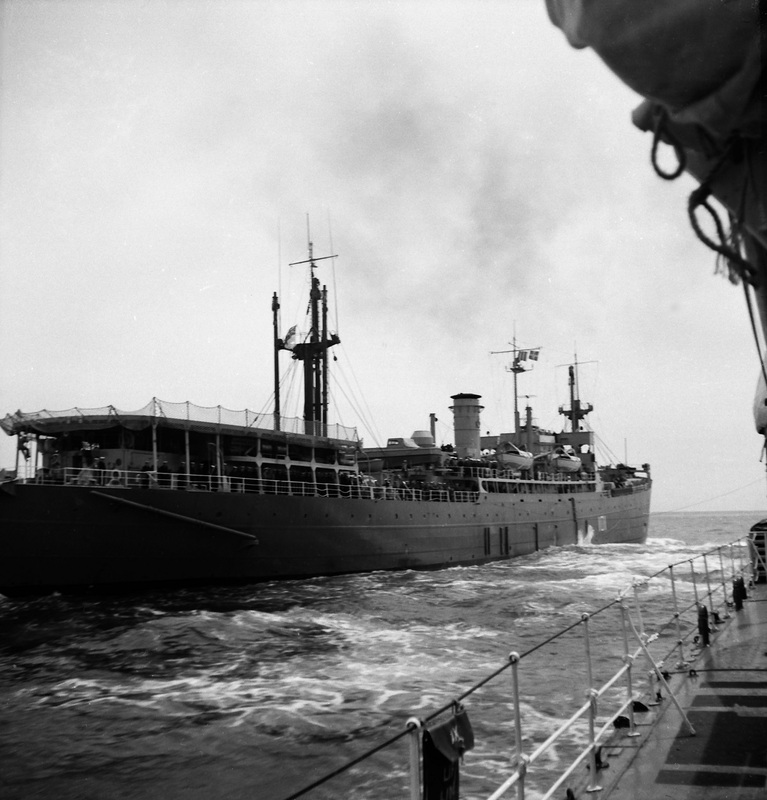 After the war, she was turned over to the Royal Netherlands Navy in 1947 as repair ship Vulkaan. 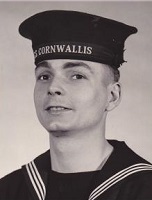 In 1949 she was returned to the RN and resumed her original name until 1952, when she was transferred to the RCN. 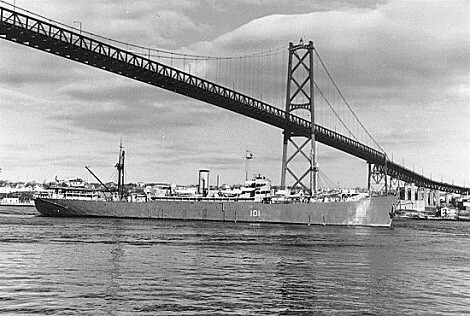 She lay alongside Halifax for some years, providing supplementary workshop and classroom facilities until Cape Breton was transferred to the west coast in 1958. 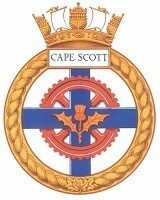 After refit at Saint John, Cape Scott was at last commissioned on 28 Jan 1959, to serve at Halifax. 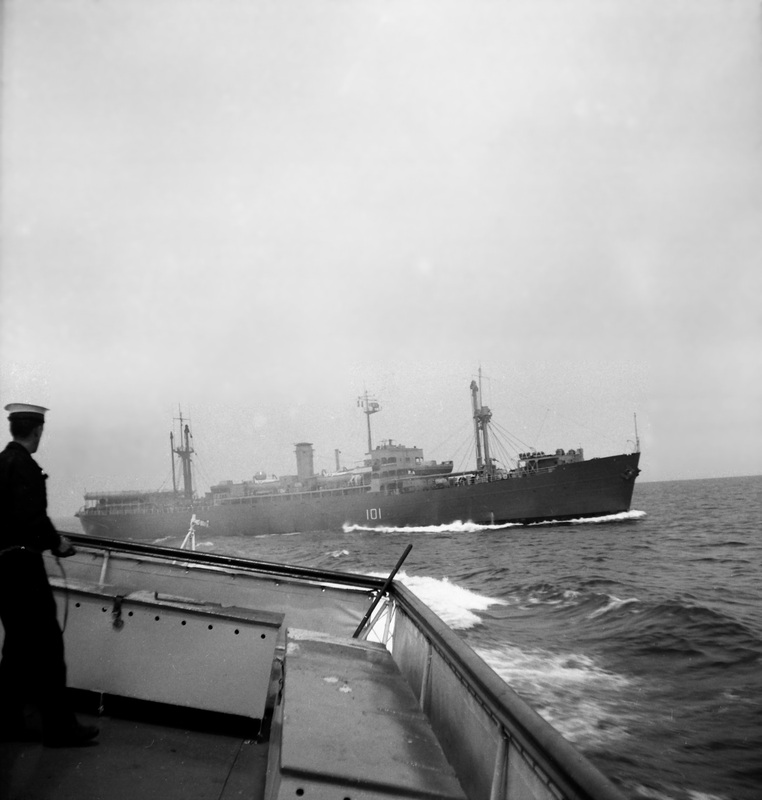 In February 1965, Cape Scott transited the Panama Canal from Peru and Easter Island enroute to Halifax. Paid off into reserve on 01 Jul 1970, she was re-designated Fleet Maintenance Group (Atlantic) in 1972, but was sold when the group moved ashore in 1975 and left under tow in 1978 to be broken up in Texas. 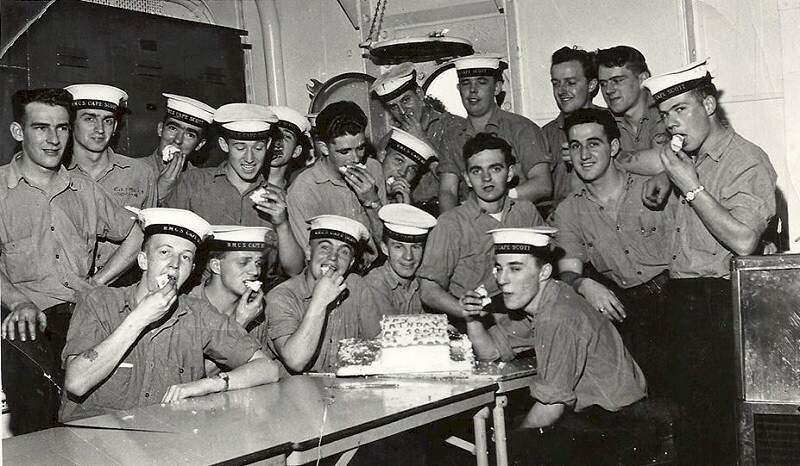 ET's mess Won cake for the cleaness after CO.s rounds on a Fri, 1960, HMCS Cape Scott. 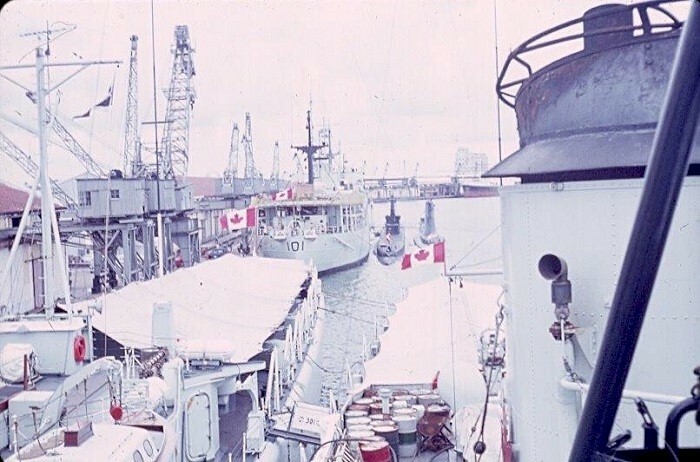 HMCS Cape Scott was sailing home from a medical expedition to Easter Island and the Galapagos on 15 February 1965, the day Canada adopted it new flag. 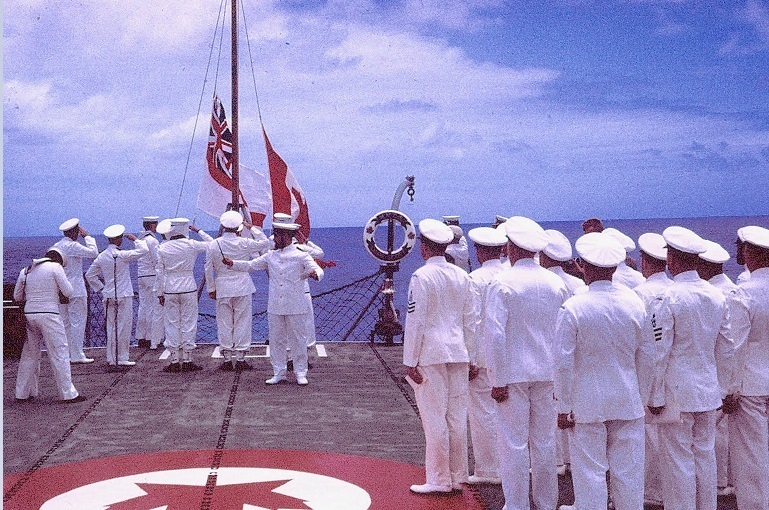 The ship held a ceremony to haul down the white ensign and hoist the new flag. 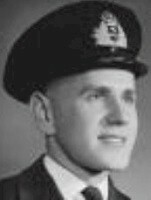 There were two new flags hand stitched onboard based on verbal descriptions received by radio (the ship had been gone since 16 November 1964). 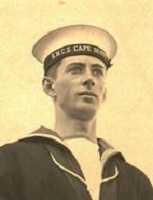 The captain then was Commander Tony Law. Dr Jacalyn Duffin, Professor Emerita and Hannah Chair of the History of Medicine, Queen's University, and author of "Stanley’s Dream: The Canadian Medical Expedition to Easter Island," is trying to trace the Cape Scott'S flags, without success. She knows one was mailed to Prime Minister Pearson, but checks of the War Museum and the Museum of History were fruitless (the letter to PM Pearson but no flag is in the National Archives). 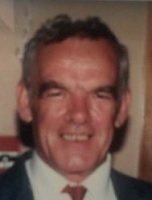 Can anyone please provide a lead to assist with the search?